Boil sausage for 5 minutes. To make scalloped potatoes, do step one according to box directions. Drain sausage then cut into thin slices. 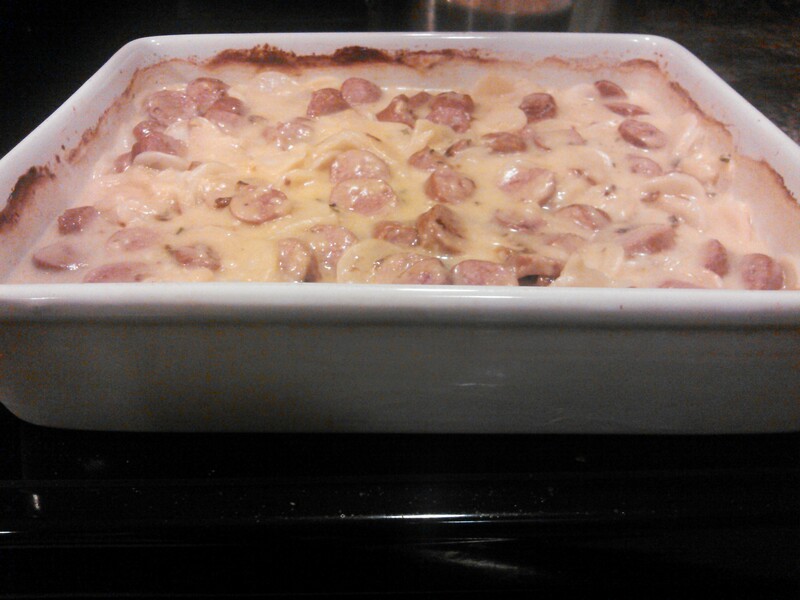 Put sausage and potatoes in 11×14 casserole dish and bake for the allotted time (about 25 minutes) on the scalloped potato box at 450 degrees until golden brown. easy peasy and yummy too!!! Very easy. That’s my M.O. most days. Potatoes, cheese and sausage does it get any better than this?